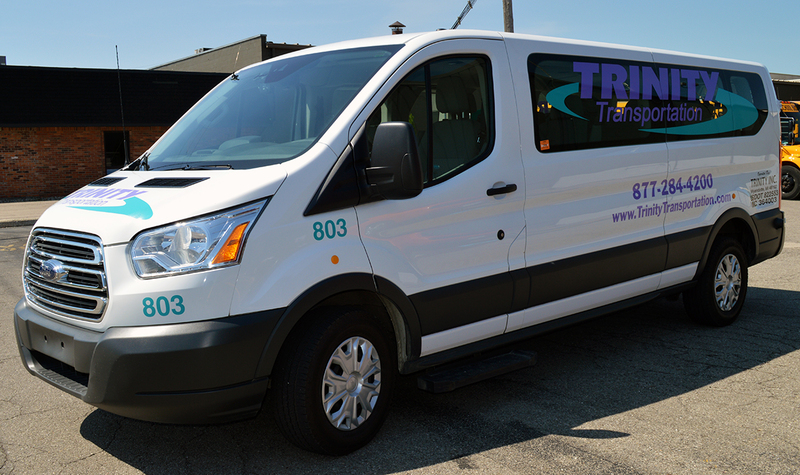 As a premier transportation company, we have a complete fleet ready to help you with your service needs. Whether your group is large or small and your trip local or cross-country, we have the perfect vehicle for you! If you’re just starting out and haven’t a clue what vehicles are in our fleet, hop on over to our fleet page, where you will get an introduction to what we offer and virtual tours of our vehicles. Once you’ve done that, you can get to know our fleet divisions a little better here. Long distance trips are usually done in our motor coaches, which offer a luxury ride complete with comfortable seats, a restroom, power outlets, a DVD player, Wi-Fi, and more. They also have overhead and underneath storage for items such as luggage, band instruments, and athletic equipment. Our motor coaches seat up to 56 passengers, have panoramic windows, and some are handicap accessible. If you’re not traveling far or overnight, our school bus may be a viable option for you. Local field trips and athletic trips are usually done in our school buses, which seat up to 48 passengers. They are equipped with heat for chillier days and several are handicap accessible. Looking for a vehicle to take you out on the town? Our party bus is perfect for that and fits up to 28 passengers. Complete with surround sound entertainment and aux port, an on-board restroom, five mini bars, and a flat screen TV, our party bus is bound to keep the fun going all night long! If you need a ride to an appointment or the store, our sedans are the vehicle for you. Our sedans travel locally and seat from 4 to 10 passengers. We have Prius cars, minivans, and full-size vans that can take you where you need to go! Our sedan fleet also consists of handicap accessible vehicles to better suit your needs. Flying and need transportation to the airport? We’ve got you covered! Our shuttles can transport small or large groups to and from the airport. From vans and transits to mini coaches and motor coaches, our fleet is equipped to service your group. All of them have storage space for luggage and comfortable seating to ensure your ride is as pleasant as possible. Still have questions? 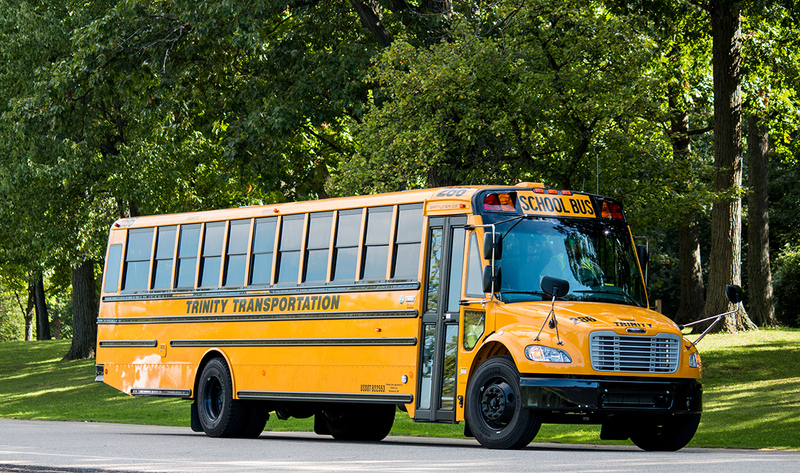 Check out our motor coach fleet FAQ and our school bus fleet FAQ. If you’re ready to make your reservation, request a quote here! We can’t wait to take you to your next destination! Conventions are a fun and terrific way to learn more about your industry and meet other professionals in your field. They provide the information you need to build on your experience and grow in your profession. As a distinguished transportation company, we’re prepared to make your convention transportation the best it can be! If you have yet to book transportation for your convention, we take you through the process step-by-step in this article. Once you’ve gone through each step and secured your transportation, your vehicle will be booked and you will be set for the day of your convention! Our reservations specialists usually reach out about a week before the date of your convention to ensure the details and information on file are correct, and to make any needed changes. On the day of your convention, the driver(s) will arrive at the specified pick-up location at the time discussed (usually 5-15 minutes early) with the vehicle(s) you selected. Upon meeting your driver(s), we recommend that you exchange phone numbers so communication can occur throughout your time together. Depending on the length of your convention and the services requested, your vehicle(s) will typically stay at the venue the entire time. After the services are complete, you are all set! Your reservations specialist may reach out to you a day or two after your convention to ask for feedback on our services. As always, we appreciate having valuable customers like you and can’t wait to assist you with your transportation needs! The holidays are approaching, and that means vacations are coming! We know getting ready for vacations can be hectic and stressful, but we’re ready to take some of the stress away by being your go-to airport transportation. With our array of vehicles, we can accommodate your every need, from small to large groups, along with handicap accessible vehicles. If you have yet to book your transportation, we walk you through that process in this article. Once you’ve gone through those steps, your vehicle will be booked and you’ll be all set for your trip! If you’ve booked transportation to the airport, on the day of your trip, your driver will arrive 15 minutes prior to your scheduled pick-up time. This is to allow enough time for you to get your things together and meet your driver outside of your pick-up location. The driver will then take you to the departures section at the airport and help you unload your luggage with a sendoff for a great expedition! If you’re booking transportation from the airport, we ask that you do it at least 24 hours in advance. Upon arrival at the airport, your driver will meet you in the arrivals section by the baggage claim. Your driver will help you carry your luggage to their vehicle, which will be parked in the parking structure. Once you are all situated in the vehicle, you will be off to your destination! 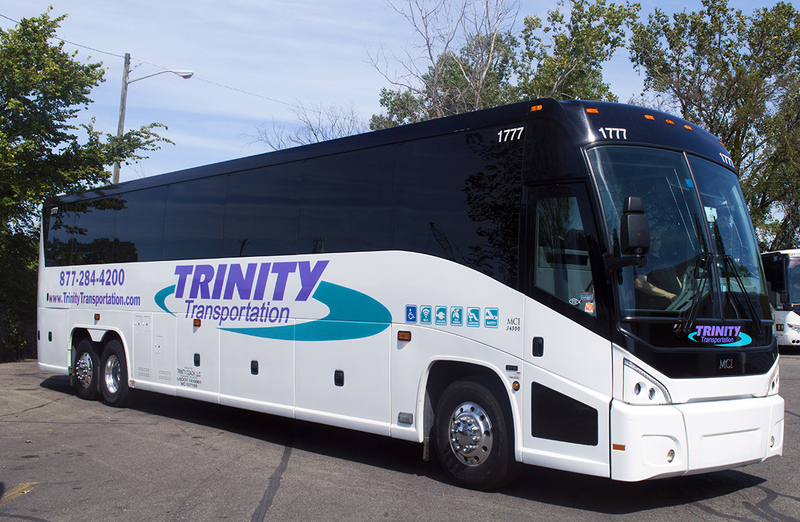 Booking your airport transportation with Trinity is the one ingredient that will provide relaxing travel time for you and your guests. We can’t wait to help make your trip the best it can be!